for $367,500 with 3 bedrooms and 2 full baths. This 2,580 square foot home was built in 1998 on a lot size of 2.90 Acre(s). 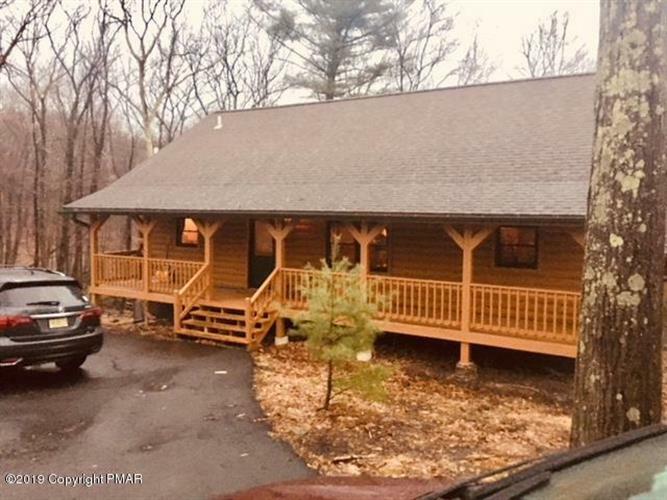 Stunning High Quality Log Home on almost 3 private acres. Geographically centered in the Poconos close to Camelback. Open floor plan. Traditional log home feel but with large bedrooms and closets. Hardwood floors, full finished basement, large decks and screen room, covered hot tub. This is the classic mountain log home. Come quick.This is a rare find. A well built log home close to Camelback Waterpark and skiing. Home has quality touches like granite counters, pantry, LARGE bedrooms, Master suite on first floor, Front Porch, Decks off the bedrooms, Hugh screen room with 6 person Jacuzzi, three levels of living.